Fat Chap SG | Fat Chap Grand Opening! 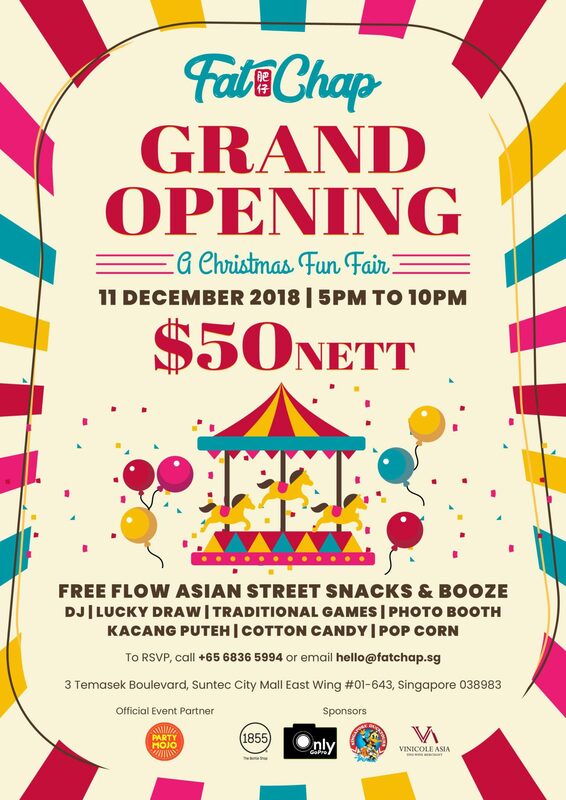 We will be having a Christmas Fun Fair on the 11 December 2018 from 5pm – 10pm with free flow of Asian street snacks and Booze at only $50 Nett. What’s best there are traditional games, a photo-booth, a lucky draw with attractive prizes as well as many more activites! !